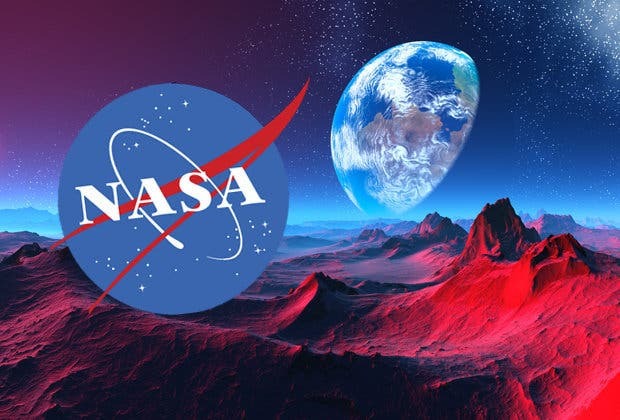 "If the Martian crustal dichotomy formed as a result of a giant impact, and available data and modeling suggest this is likely, the history of NWA 7034 requires that it formed very early in the planet's history, before 4.4 billion years ago," said Lawrence Livermore National Laboratory cosmochemist Bill Cassata. The dichotomy is a sharp contrast between the southern hemisphere and northern. The two hemispheres' geography differ in elevation by 1 to 3 kilometers (km). The average thickness of the Martian crust is 45 km, with 32 km in the northern lowlands region and 58 km in the southern highlands. The northern lowlands comprise about one-third of the surface of Mars and are relatively flat. The other two-thirds of the Martian surface are the highlands of the southern hemisphere. The difference in elevation between the hemispheres is dramatic (the highlands are very mountainous and volcanic). Three major hypotheses have been proposed for the origin of the crustal dichotomy: endogenic (by mantle processes), single impact or multiple impacts. By looking at an ancient Martian meteorite that landed in the Sahara Desert, Lawrence Livermore National Laboratory (LLNL) scientists and collaborators have determined how and when the red planet's crustal topographic and geophysical divide formed. The team set out to determine when and how the crustal dichotomy formed. Based on new radioisotopic measurements and in conjunction with other published data, the team determined that all the rocks that eventually were incorporated into the NWA 7034 breccia were emplaced about 4.4 billion years ago in the "source terrain" (the crustal source region that the different breccia components are derived from). The results show that this terrain was subject to prolonged metamorphism associated with a large plume-fed volcanic center from ~1.7 to 1.3 billion years ago. The areal extents of large, plume-fed volcanic centers on Mars are thousands of square kilometers, and the source terrain was likely comparable in size. Finally, they showed the rock was brought together ~200 million years ago or more recently. 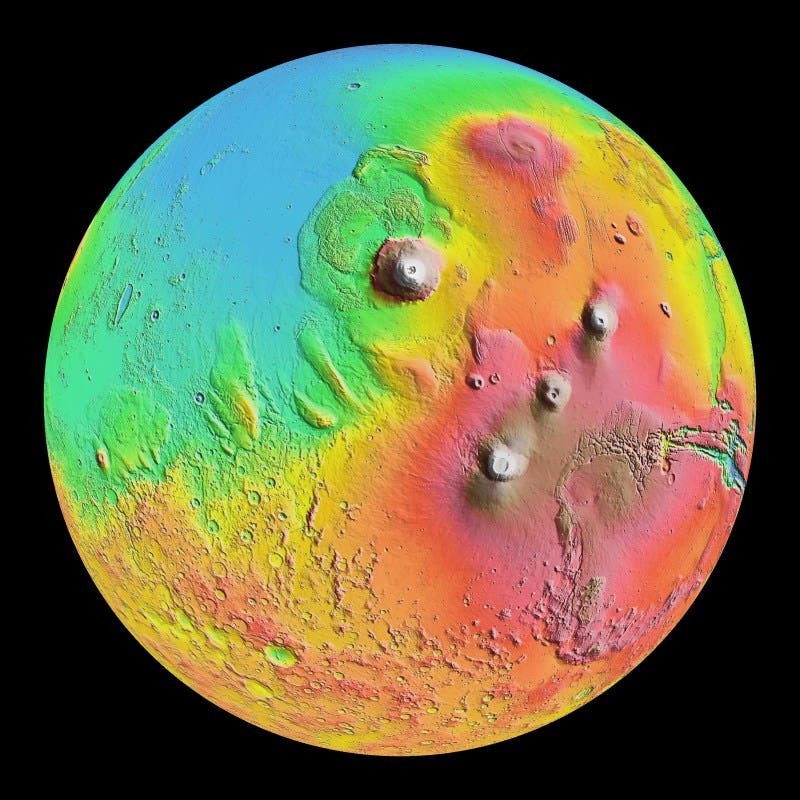 When viewed together, the data from NWA 7034 demonstrated that large volcanic terrains survived within a few km of the Martian surface since >4400 million years ago. This indicates that the dichotomy formed prior to 4.4 billion years ago, as near surface rocks would have been buried or destroyed by the dichotomy-forming event. "This multi-disciplinary study, combining both traditional and innovative geochemical techniques has provided us with some exciting new insights into the timings of major processes that shaped young Mars," said Caroline Smith, head of Earth Sciences Collections, principal curator of meteorites at the Natural History Museum and another author on the paper. This team's results have important implications for our understanding of when and how one of the oldest, and most distinctive, global geologic features on Mars was formed. 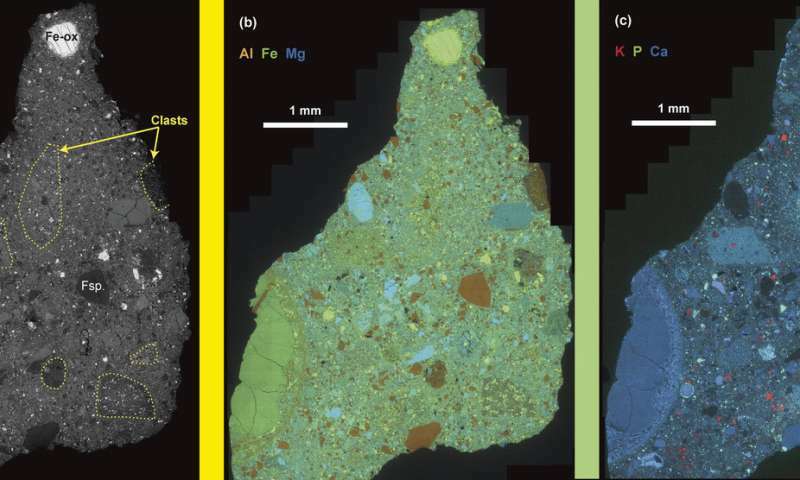 "This study demonstrates that multiple radioisotopic dating systems that are reset by different metamorphic processes can be used to tease out the thermal history of a sample over billions of years," lead author Cassata said.